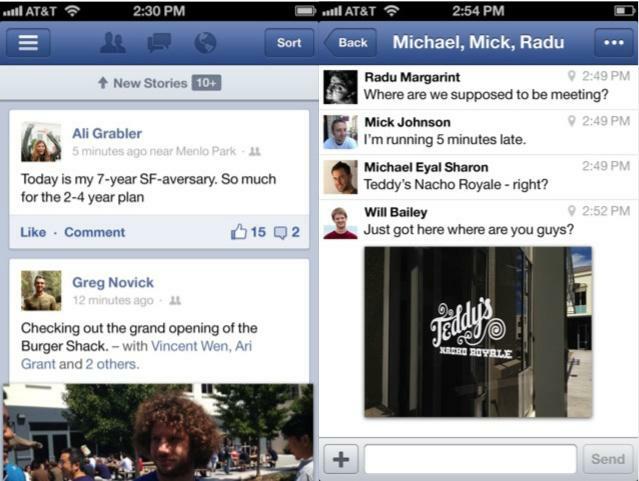 Facebook is going native on iOS and the company promises the app is twice as fast as before. You’ll now be able to launch the app quicker, access your News Feed instantly, and tap photos without anything coming to a grinding halt. The update to 5.0, which was released on Thursday, is an entirely rebuilt application using Apple’s iOS SDK; it looks the same, but it’s more focused. Think of the speed increase like this: Facebook on iOS is now a bullet train, while the previous version was no faster than an old timey steam train. If you’ve ever used the standalone Facebook Camera or Facebook Messages, today’s update is largely built with the same codebase. In addition to the noticeable speed boost, Facebook added a number of new features and tweaks, including gesture support that enables easier one-handed browsing, TheVerge said. There’s also a new banner in the News Feed that lets users tap to quickly see more stories without the need to refresh. With hundreds of millions of Facebook users around the world, a lot of those on mobile, the update in speed will be an enormously welcome addition to what has normally been a frustratingly slow experience. We’ll see if the speed is enough to satisfy our need to always keep up to date with what our hundreds of friends are doing at any given time.